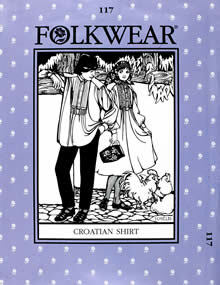 A traditional fashion worn by peasants, farmers, and shepherds in the Pannonian Basin of old Yugoslavia. Originally made from homespun linen, but elegant in cotton, silk, and sheers. Soft pleats at the shoulders, with a tucked front yoke. 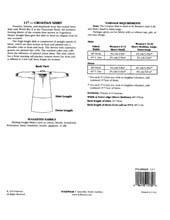 Pattern includes historical information and instructions for decorative stitching on yoke. Misses 6-20; Men's 32-48.